The timetable of the bus posted on the Nouhi bus website is a digest version. 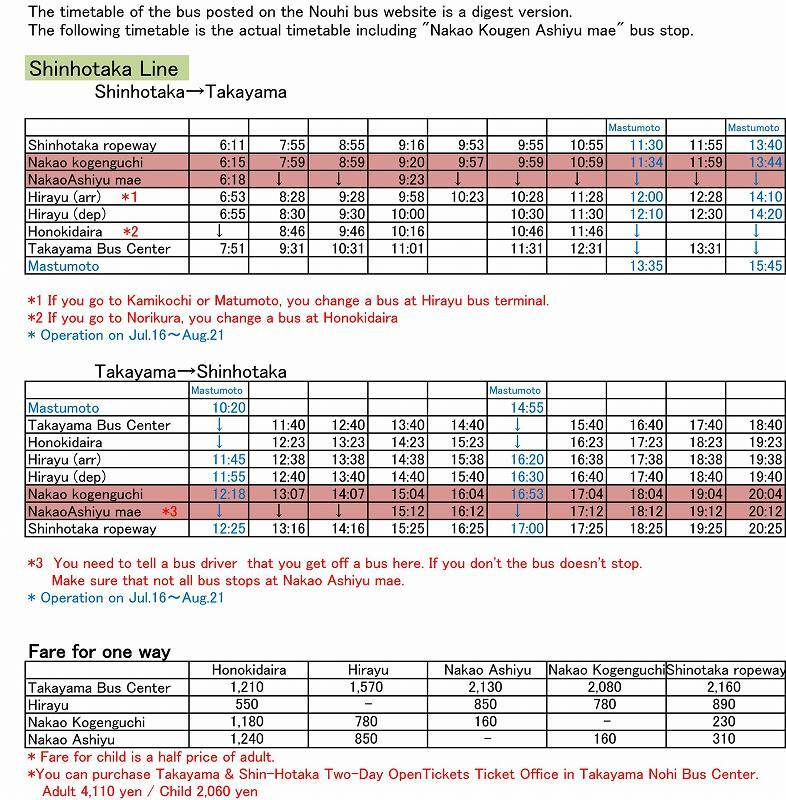 The following timetable is the actual timetable including "Nakao Kougen Ashiyu mae" bus stop. If you would like to be in contact or make a reservation, please visit the “Reservations” page or call 0578-89-2568 (business hours 8:00~21:00).